This month we went out to the bee yard to do our second check on the bee hives. We cleaned out the bottom of the hives on our surviving hives. 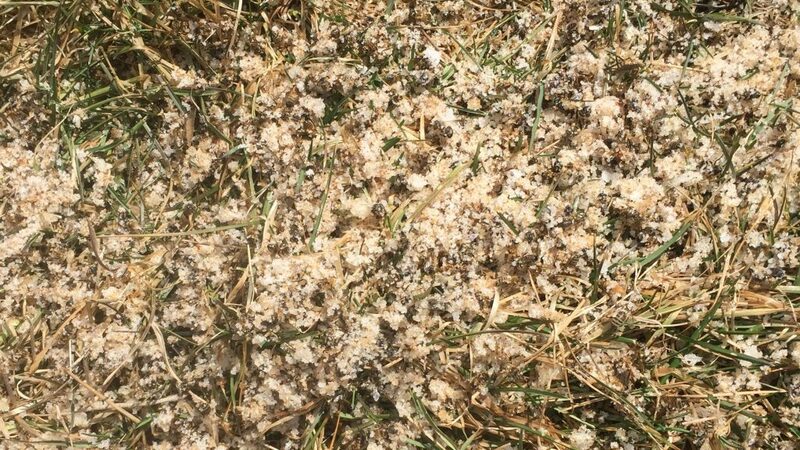 They were packed with dead bees and sugar granules. The hives can have more air flow now. Garbage scrapped out of the hive. We also evaluated the health of the bees without digging into the hives and checking any frames. It is still too cold to pull frames; we do not want to chill the brood. 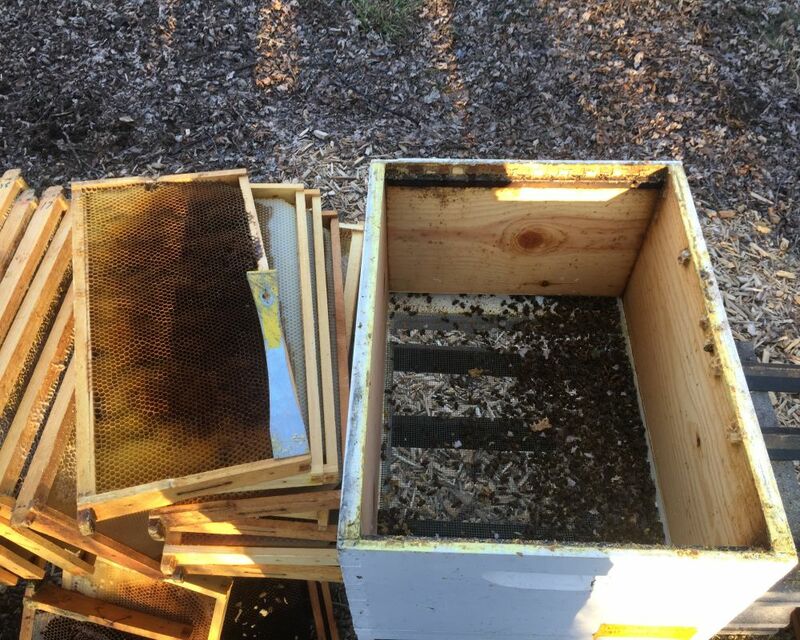 Last month, we placed pollen patties in our hives. This month when we checked the hives, some of the hives ate most or all of their pollen patties. We know this is a good hive with an active laying queen. The areas where we produce our Spring Honey we gave them 2 patties to make sure they have enough to really get their numbers up for the early honey. 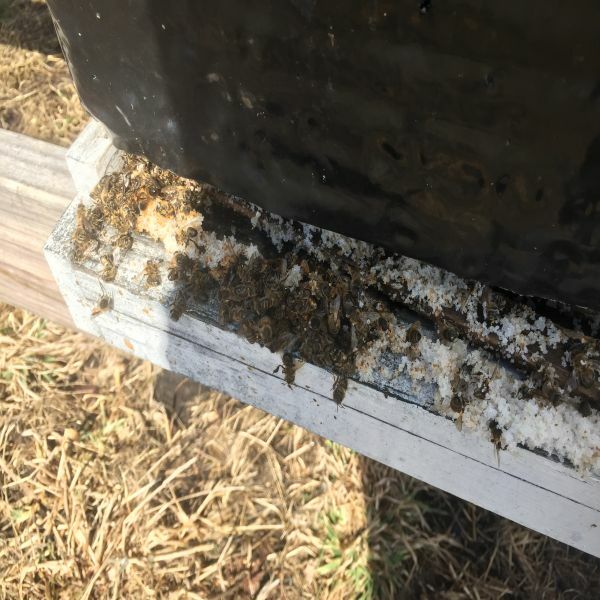 The hives where they did not take any pollen are ones where we know we have queen trouble. Either they lost their queen or she is not really gearing up for anything. We will be replacing those hives with a package. In the past, we would get a queen and bulk up the hive with bees from other hives. This is just getting to be too much work. Usually these bees are not ready for the honey flow and they tend to not do much for the year. So this year we decided to just get a 2 lb package for these hives and go from there. We started cleaning out the hives where the bees died over Winter to make room for new bees. 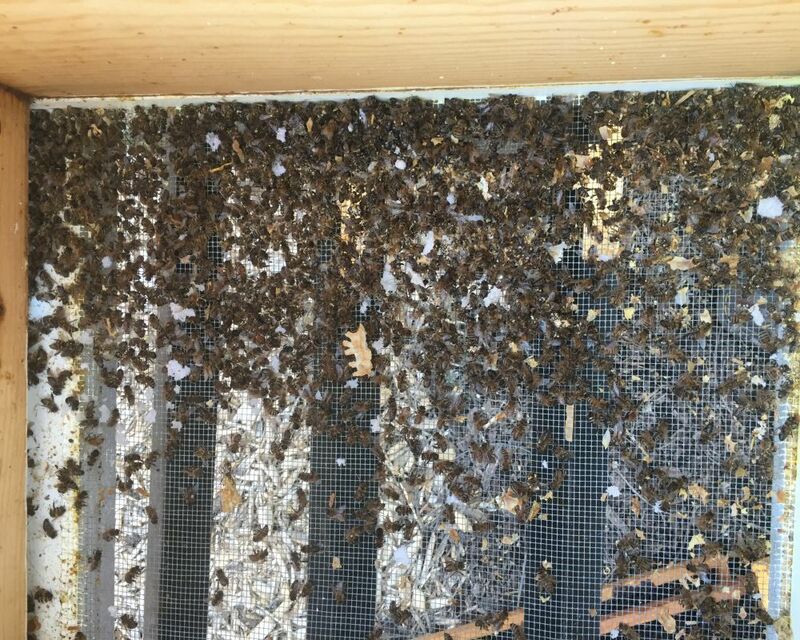 We have been finding a lot of pollen packed frames that we need to throw out since there is no room to lay eggs. We will be adding new, undrawn frames. The new bees better be ready to build. They have a lot of it to do. There has been some really nice days in March. We had 2 days where it was over 60! The bees were out enjoying the sunny days. (Picture of bees on brick) Generally Mother Nature is so mean – Here’s a 40 degree day –with rain! Want a nice sunny day? Here’s 15 degrees! HAHAHAHA! Usually the packages of new bees arrive at the end of March. But this year it has been pushed back until April. So we have a few more weeks to get everything ready.